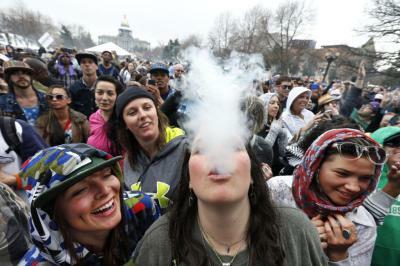 # Health concerns have sharply reduced the number of Americans who smoke. Purposely released on a Saturday to minimize its effects on the stock market, the report summed up the findings from a year-long review of the scientific literature by an advisory committee appointed by Surgeon General Terry. In a presentation made before a roomful of reporters, Dr. Terry touched on some of the most important conclusions reached by the investigatory panel. According to a summary of the report from the Centers for Disease Control and Prevention, the advisory committee concluded that smoking is a cause of lung cancer and laryngeal cancer in men, a probable cause of lung cancer in women, and the single biggest cause of chronic bronchitis. In addition to detailing smoking's damage to the respiratory system, the report also implicated tobacco as a likely cause of heart disease. What Was the Magnitude of the Committee's Review? # Each year the American Cancer Society's Luther L. Terry Awards honor individuals and organizations that have taken significant steps to advance worldwide tobacco control efforts. To prepare its 387-page report on the health effects of cigarette smoking, the 10-member advisory panel conducted a comprehensive review of the biomedical literature related to smoking and its health consequences. Over a year's time, the committee studied and evaluated more than 7,000 articles relevant to the topic. 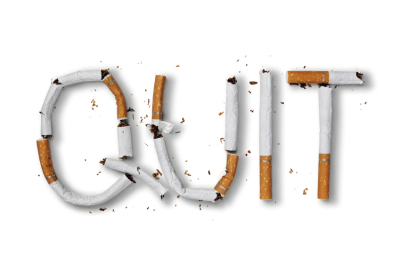 To ensure balance, Dr. Terry appointed five smokers and five nonsmokers to the advisory panel. Ironically, one of the committee members was a Harvard chemist who smoked roughly four packs a day, according to a report from NPR. Within a year of the report's release, the chemist was diagnosed with lung cancer, a disease that eventually took his life. 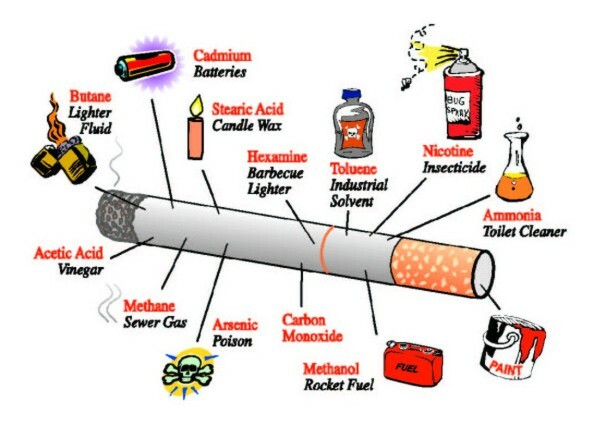 What Steps Were Taken to Reduce Smoking? Dr. Terry, a longtime smoker himself, said that the advisory committee's report "hit the country like a bombshell." And it was responsible for triggering a gradual shift in public attitudes toward smoking. In response to the committee's call for "appropriate remedial action," Congress passed the Federal Cigarette Labeling and Advertising Act of 1966, which prohibited the advertising of cigarettes on radio or television and required health warnings on cigarette packages and print ads. Still tougher restrictions were imposed under the Public Health Cigarette Smoking Act of 1969. 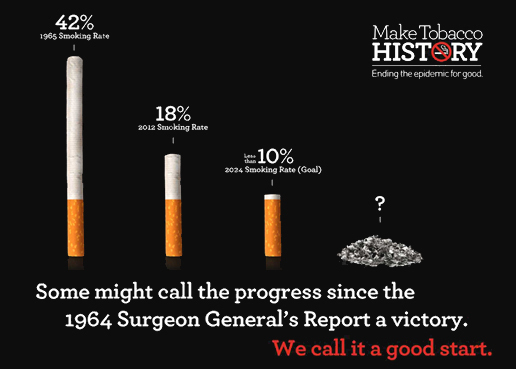 How Much Has Cigarette Smoking Declined in the Years Since 1964? In the half-century since the release of the surgeon general's report on smoking and health, the percentage of American adults who smoke has declined from 42.4 percent in 1965 to 16.8 percent in 2014, according to The New York Times. A report in an early 2014 issue of "JAMA," the official journal of the American Medication Association, estimates that 8 million Americans avoided premature death as a result of the tobacco control efforts that followed the release of the surgeon general's report in 1964.